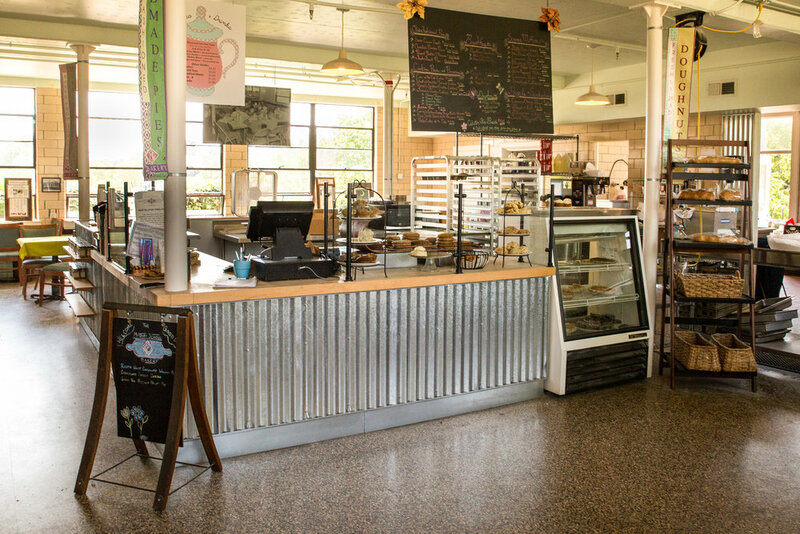 The Midway Bakery creates cookies, pies, scones and more from scratch with real butter and natural ingredients using traditional recipes. 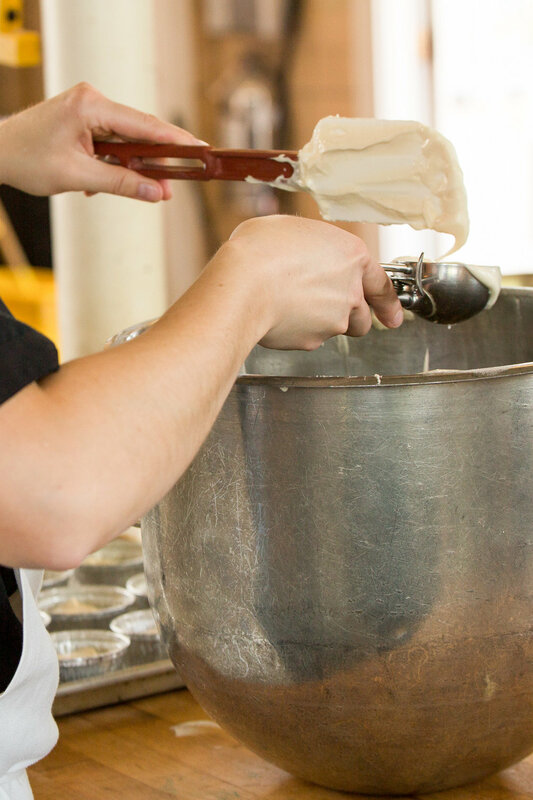 Our flours come from Weisenberger Mill down the road; most of the corn and wheat is raised right here in Kentucky. Our chocolate comes from Ruth Hunt Candies in Mount Sterling. Our pecans are from the Kentucky Nut Corp. in Hickman, Ky. Try our bagel sandwiches! Each bagel is served with cream cheese schmear. Fast Forward Regular or Slow Motion Decaf $2.49 Bottomless Cup! Now serving Special Drip from Counter Culture Coffee in Asheville, N.C. Please note: The bakery needs 48 hours' notice to complete your order. Thank you! 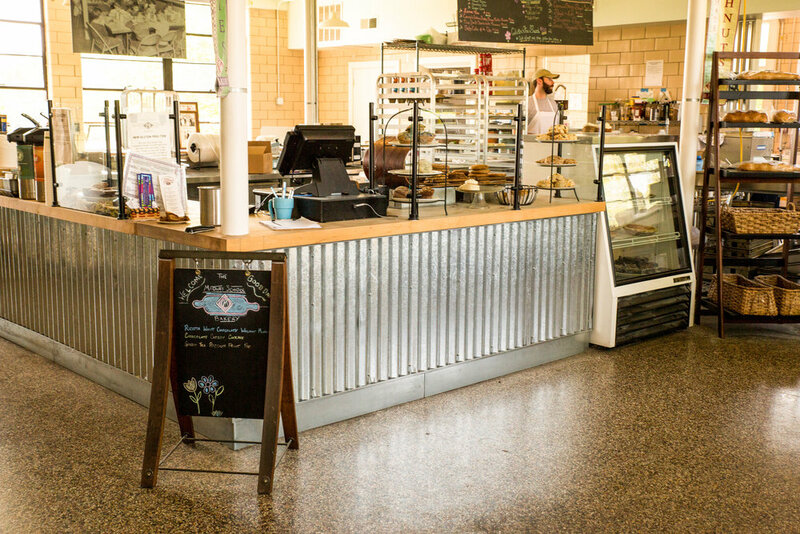 Let The Midway Bakery do your baking! Call (859) 846-4336 or order online for pickup! Order your favorite pie or pies for the holidays or for any day! 48 hours' notice, please. We will have seasonal fruit pies all year long — check our case or our Facebook page to see what's new! With lemon juice and zest and a rich, buttery crust. Dense and rich, topped with chocolate ganache. Rich and delicious no matter what flavor our bakers choose! Slightly sweet with apricots, dried cranberries and white chocolate — a favorite of one of our favorite ladies! Gluten-free baked goods are available by 48-hour advance order only. In place of refined wheat flour, we use a mixture of sorghum flour, tapioca starch, garbanzo flour, potato starch and white fava bean flour for these delicious goodies. Bread is available by the loaf. Muffins, brownies and cookies are available by the dozen. Call (859) 846-4336 for information and to order. Since 2001, when Ouita Michel and her husband, Chris, opened the Holly Hill Inn in Midway, Ky., she has made locally grown ingredients a priority in her world-class cuisine. Michel’s restaurants have purchased almost $3 million of Kentucky-grown meats, dairy and produce. She was a James Beard Foundation Award nominee as Outstanding Restaurateur, and Best Chef in the Southeast. Michel and her restaurants are regularly featured in media such as The New York Times, Southern Living, Garden & Gun, Food Network and Cooking Channel. Ouita Michel is a member of Slow Food USA; Les Dames d’Escoffier; community supper coordinator for Midway Christian Church; board member of FoodChain, a non-profit food incubator in Lexington, Ky.; and Hindman Settlement School, which is dedicated to enriching Appalachian culture. She is a member of the Prichard Committee for Academic Excellence, a statewide citizens group. Michel is an alumna of the James Beard Chefs Boot Camp, for chefs who work to improve the world’s food systems. Honors include the Fayette Alliance Agricultural Excellence Award and Bluegrass Tomorrow’s most prestigious honor, the Josephine Abercrombie Award, given to a person who improves the quality of life in the Bluegrass. Ouita, Chris and their daughter, Willa, live in Midway. Justin Traugott has been a part of the Ouita Michel family in Midway for a long time. The Woodford County high school graduate first started working for Ouita in 2005, washing dishes at Holly Hill Inn. His time at Holly Hill Inn sparked an interest in cooking. “I was always watching what the kitchen was doing. I asked the sous chef if I could learn how,” Justin said. He honed his culinary skills during his time at Holly Hill Inn and in 2012 he moved to The Midway Bakery. Amanda Dunn grew up in Louisville and has called Frankfort home for more than a decade. But it was time spent in New Orleans that introduced her to the food service industry and lots of amazing food! Amanda pursued a nursing degree at Midway College in 2010 but says she couldn’t get out of the kitchen. She was hired at The Midway Bakery in 2017 after working as kitchen manager at Bourbon on Main in Frankfort. to apply for a job at The Midway Bakery.